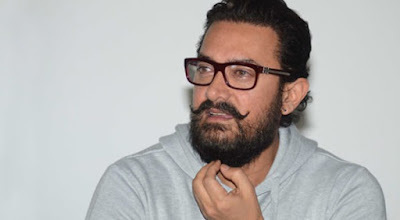 There has been a buzz that superstar #Aamir_Khan was quite keen to have #Fatima_Sana_Sheikh -- his on screen daughter from "Dangal" -- on board as his heroine in "Thugs of Hindostan". But the actress says he is not the kind of person to "push anybody". "He is not that kind of a person... He doesn't push for anybody. He doesn't get involved in all of this. He is a director's actor and remains focussed. That's how I know him, and that's how I see him. I don't know where all this is coming from," Fatima told over phone from Mumbai. "Amitabh sir is a legend. He had sent me a letter and bouquet after 'Dangal' and I never thought I will get to do a film with him. I am very happy," she said. The fact that she will be caught amidst two perfectionists -- Aamir and producer Aditya Chopra -- how will she deal with that? "Actually, Adi sir is very sweet. He is a great producer, very sensitive and compassionate. Even the director Vijay Krishna Acharya (of 'Dhoom' fame) is very good. "I have seen his films, he really enjoys the process of filming, understands you and gets the best out of you. I feel fortunate to be working with such creative and intelligent people," Fatima, who played Geeta Phogat in "Dangal", said.